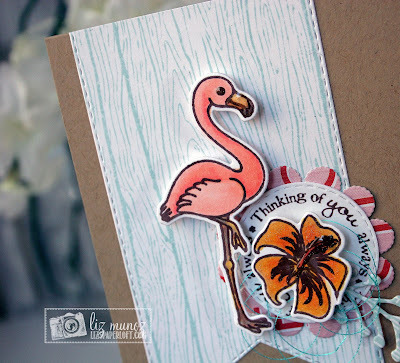 Liz's Paper Loft: MCT Inspire Me Wednesday ~ thinking of you always! MCT Inspire Me Wednesday ~ thinking of you always! Good morning and happy Wednesday! Today is Inspire Me Wednesday over at My Creative Time. This feature is about taking the everyday things around us and how they are able to inspire creativity. My project today wasn't inspired by any one thing but a place, Florida. 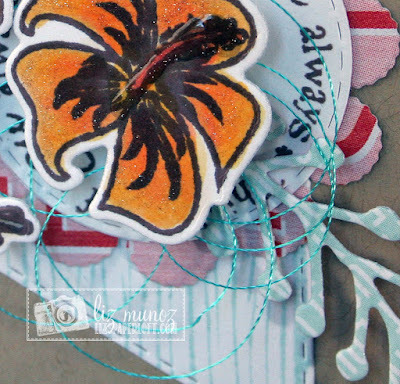 Since Emma has revised some of her favorite sets which includes some new dies. It has reminded me of what sets I have and haven't used in a while, like the "all around" sets. I mixed the newly revised "All Around III" with "Already Missing You" set. I think is works perfectly together! I colored the flower and flaming with copic markers then added a little wink of stella to the flower. Be sure see what my teammates have created! 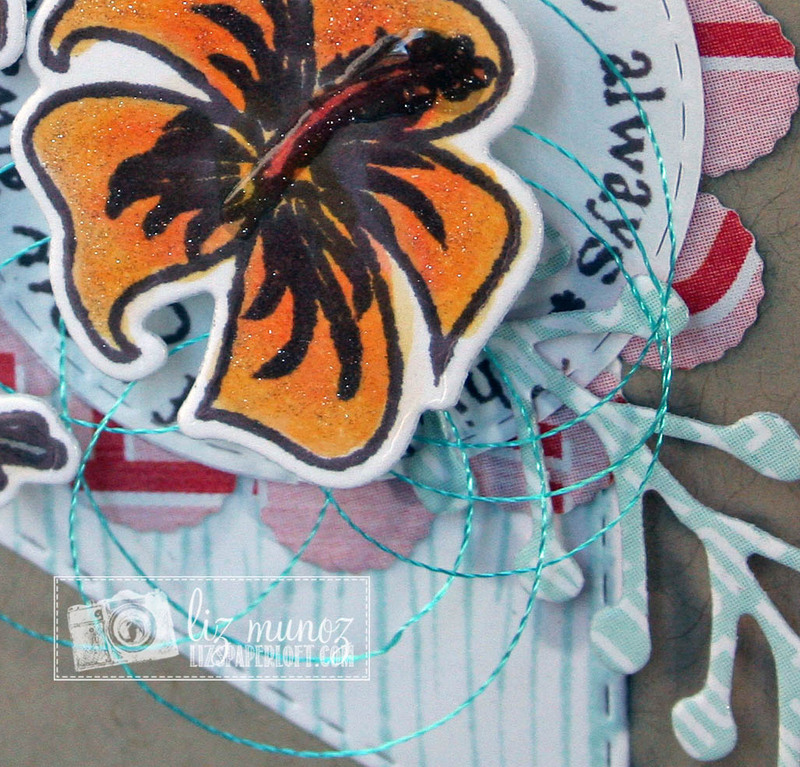 Your card is so pretty.....love all the clever and creative ways you've used Miss Emma's goodies....love the color of your grainy wood background. Great coloring job too!! Absolutely beautiful! 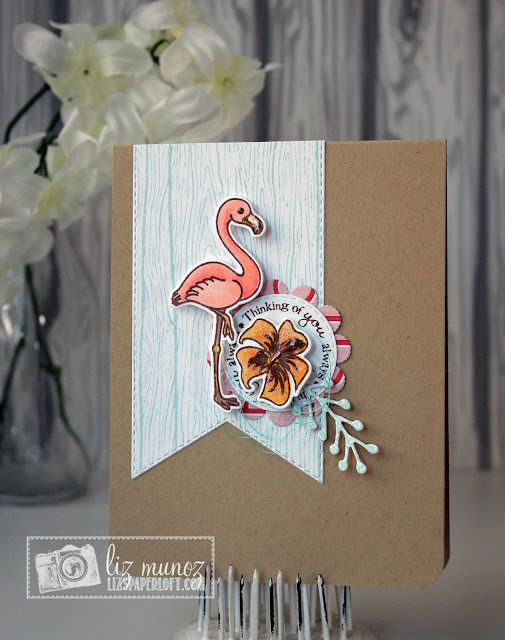 I love how you used these dies together!!! Your card sure makes me think of Florida! Beautiful flamingo and hibiscus. I like the touch of blue thread. Great job.